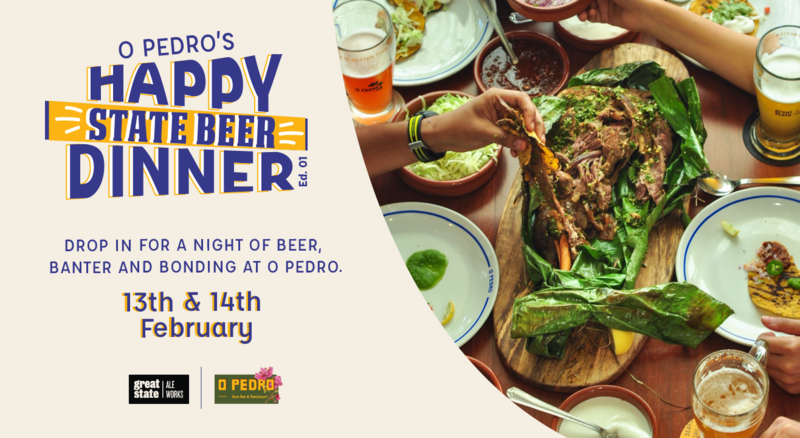 Drop in for a night of beer, banter and bonding at O Pedro. We are partnering with Great State Ale Works, a brewery as committed to beer as we are to Bombil. The beer experts from Pune have lined up a stellar selection of craft brews for our first edition of beer night including a Barrel Aged Saison, Gose, among Chocolate Stout & more! Bigger is always better and our communal seating will rouse team spirit; let us clink and cheer together. No party at O Pedro is complete without copious amount of food, so we’ve crafted a meal as creative as the brews, inspired by Chef Hussain’s extensive travels. Carry your flip-flops and we'll provide the beer mugs.